This blog discusses factors associated with male involvement in access and use of health services in Tanzania and identifies strategies that can be used to increase male involvement. In Tanzania, estimates from 2010 show a maternal mortality ratio (MMR) of 454 maternal deaths per 100,000 live births. For every 1,000 live births in Tanzania, four or five women died of pregnancy-related causes. Reasons for low usage of maternal care are complex, including shortage of resources, long distances to services, high costs and low capacity to provide services. Gender analyses suggests that maternal mortality is linked to a wide range of factors in women’s lives, including the value placed by women and by their families and communities on women’s health, women’s economic position, their access to education and information, and their capacity to make autonomous decisions. ‘Gender exclusion’, in this case the exclusion of men in planning or implementing interventions, can be a major barrier to achieving improved maternal and child health. In 2010, the National Health Insurance Fund (NHIF) of Tanzania piloted a programme aimed at improving maternal and child health through the provision of insurance coverage to poor families. 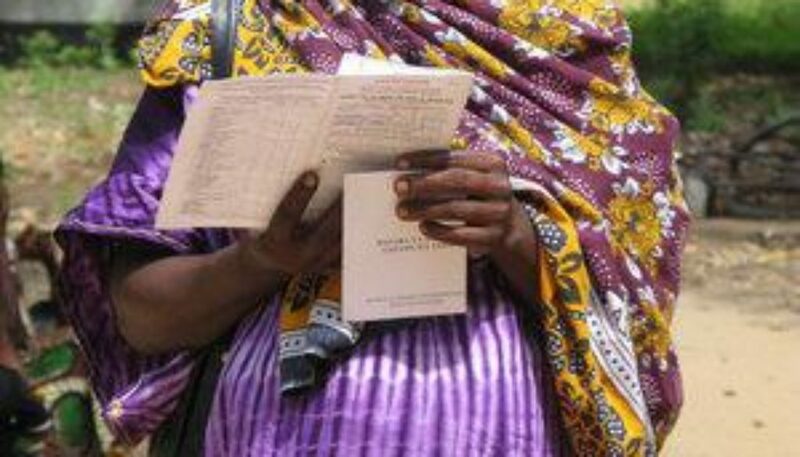 The pilot programme used the NHIF platform to support and strengthen expansion of social health insurance coverage to the informal sectors by providing free maternal and child health insurance cards named NHIF/KfW prepaid insurance card to poor pregnant women and their newborns in selected regions of Tanga and Mbeya. Our study sought to understand male involvement in the implementation of a National Health Insurance Fund (NHIF/KfW) for pregnant women in Pangani District, Tanzania. It examined the factors associated with male involvement or lack of involvement in access and use of health services and identify the strategies that can be used to increase male involvement. Men were involved in the implementation of NHIF/KfW prepaid insurance card scheme in various ways: during its design; inauguration; registration; and in community sensitization at the village level and health facilities. In addition, a number of women claimed that they did not involve men directly when they went for ANC services and registered for programme because men were at work. This reflects the perception that the role of men in the community is to work and that women should care for the family. Participants identified strategies to improve male involvement in the implementation of NHIF/KfW prepaid insurance card in Pangani District. Programme implementation together with other factors such as health system factors, economic factors and social norms act as facilitators and barriers in terms of male partner involvement in the implementation of the NHIF/KfW insurance programme. Largely these factors were complex and interrelated. Improvement in the health care provision and community sensitization of the importance of male partner involvement in the implementation of maternal and child health care programmes needs to be prioritised in order to improve their participation and mitigate the effect of socio-economic and cultural factors.